Walking Dead Actor & Artist Tim Proctor Having a Huge Original Art Sale! On this episode of The Riley and Kimmy Show we interview independent comic book artist/illustrator Kool As Heck and talk about Wizard World Comic Con in Fort Lauderdale, Viera Comics Grand Opening in Melbourne Florida, MegaCon Fan Days in Orlando and we talk about the art of George Perez. Is A Crackdown Coming On Unlicensed Marvel And Star Wars Prints At NYCC? On this episode of The Riley and Kimmy Show we talk about: Spooky Empire Horror Convention in Orlando, Florida, Burt Reynolds, Merv Griffin, Judy Garland, Nerd Trivia, The Maltese Falcon/Sam Spade. Golden Age of Radio Production of The Maltese Falcon Starring Edward G. Robinson as Sam Spade. Golden Age of Radio Production. Originally aired February 8, 1943 starring Edward G. Robinson as Sam Spade. On this episode of The Riley and Kimmy Show we talk about Viera Comics in Melbourne Florida, artists Jake Estrada of Space Coast Comixx, Terance Baker and, Kool As Heck. We talk about new & upcoming comics, graphic novels, toys, collectibles and merchandise to comic book shops. Review Rated List of Star Wars, Skylanders, Doctor Who and Super Mario interactive game figures go head-to-head this Christmas. On this episode of The Riley and Kimmy Show we talk about Batman Day at Gods & Monsters in Orlando Florida and Legends: A Haunting At Old Town. Shoutouts to Mike Kales, Mike Pries promoter of The Orlando Toy and Comic Con. We highlight artist Nathan Szerdy & his Downtown Disney Pop Gallery appearance and have a rewind interview with him. On this episode of The Riley and Kimmy Show we talk about Batman Day at Gods & Monsters in Orlando Florida also Viera Comics the new comic book store in Melbourne Florida & Batman Day Celebration at Nerdtropolis Comics in Ormond Beach, Florida. We have nerd trivia. Golden Age of Radio production Originally aired February 3, 1948. Golden Age of Radio production Originally aired February 4, 1948. We hope to see our friends at Batman Day this Saturday! Are selfies more dangerous than sharks? On this episode of The Riley and Kimmy Show we have a shoutout to Tom Raupp of Pop Culture Playground & Daytona Beach Comic Book Convention. We talk about a 2007 Comic Book Convention, Batman Day at Gods & Monsters in Orlando Florida. Gotham Easter Eggs and DC Comics References In "Damned If You Do..."
Penn and Teller Are Revealing How Their Magic Tricks Are Done—And It’s O.K. Kimmy and I are at Lake Collect-A-Con in Mount Dora, Florida 10a to 4p today. 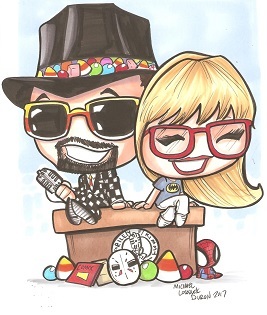 Please stop by our table and say, "hi"
On this episode of The Riley and Kimmy Show we visit Lake Collect-A-Con in Mount Dora, Florida Comic Book Toy Collectible Show & interview Artists, Collectors, An Autograph Expert and talk about celebrities & conventions. On this episode of The Riley and Kimmy Show we talk about a Central Florida Comic Book Toy Collectible Convention happening today. We also talk about Bill Murray, The Fantastic Four. Is it Really OK to Eat Food That's Fallen on the Floor? On this episode of The Riley and Kimmy Show we have shoutouts to artists Humphrey Ching, Monica RavenWolf, Graven RavenWolf. We preview what is going on at Saturday’s Lake Collect-A-Con in Mount Dora Florida. We talk to Show Promoter Greg Bohnert, Oz Author Ron Baxley Jr, Comic Book Creator Roland Mann, Outdated Slang band members Terry Moore & Katie Roberts. 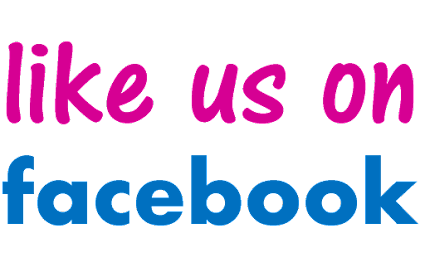 We also talk about our giveaway. On this episode of The Riley and Kimmy Show we interview: Katie Roberts & Terry Moore of the band Outdated Slang and talk about their upcoming appearance at Lake Collect-A-Con Mount Dora Florida. We talk about: Batman movie star Johnny Duncan, Carasells Collectibles Deland, Gods & Monsters Orlando, sports & nerd collectibles, arts & crafts. On this episode of The Riley and Kimmy Show Mark Mayhew joins us as guest and we talk about: Lake Collect-A-Con Mount Dora Florida, The Outer Limits, William Shatner Horrible Old Educational Safety 16 mm Films, Chicago, trivia. On this episode of The Riley and Kimmy Show we have a shoutouts to Space Coast Comic Con & Tugg the Bull Terrier puppy. We talk about voice actors, cartoon/animation voices, Monday Comedy. On this episode of The Riley and Kimmy Show we are at Space Coast Comic Con & interview: Actor Chris Harrelson from The Walking Dead, Jake Estrada of Space Coast Comixx, Artist Terance Baker of ICC Independent Creators Connection. Shoutouts to promoter David Grace and to Tom Raupp of Pop Culture Playground. On this episode of The Riley and Kimmy Show we talk about: Space Coast Comic Con in Cape Canaveral Florida, comic book artist Kool As Heck & something FREE! On this episode of The Riley and Kimmy Show we interview Oz Wonderland Author Ron Baxley Jr. This is a fun interview where Ron discusses his books, an upcoming graphic novel, creative writing, The Wizard of Oz, his upcoming appearance at Lake Collect-A-Con Mount Dora, Florida and other appearances. Walt Disney World Just Lost its Most Unique Attraction. This is Why. On this episode of The Riley and Kimmy Show we interview Greg show promoter of Lake Collect-A-Con Mount Dora Florida. 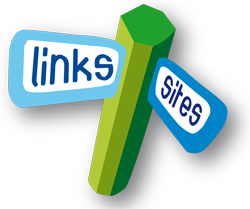 We have shoutouts to Oz author Ron Baxley Jr, Outdated Slang members Katie roberts & Terry Moore. We talk about Space Coast Comic Con in Cape Canaveral Florida. On this episode of The Riley and Kimmy Show it is a Sunday Funny episode...we have classic comedy. Also, we have an update from Wizard of Oz author Ron Baxley Jr. We talk about Mel Blanc, Space Coast Comic Con in Cape Canaveral Florida & Lake Collect-A-Con Mount Dora Florida. On this episode of The Riley and Kimmy Show we talk about: Star Wars, Star Trek The Original Series, Classic Science Fiction, Space Coast Comic Con in Cape Canaveral Florida & Lake Collect-A-Con Mount Dora Florida. On this episode of The Riley and Kimmy Show we interview comic book creator (and former Marvel Comics editor) Roland Mann. We talk about his new graphic novel, creative writing, comics, upcoming comic book pop culture conventions Lake Collect-A-Con in Mount Dora, Florida & Daytona Beach Comic Book Convention. On this episode of The Riley and Kimmy Show we talk about: Star Wars, The Big Bang Theory, Cate Blanchett, Lucille Ball, I Love Lucy. On this episode of The Riley and Kimmy Show we have trivia time for Kimmy. We talk about the end of the world and Ray Bradbury classic science fiction. 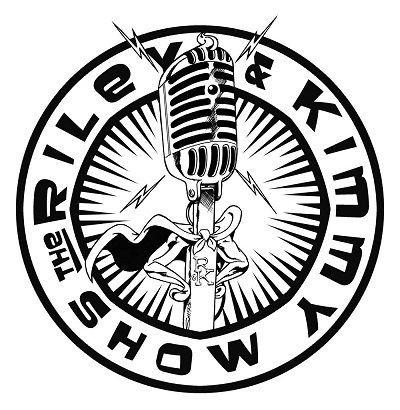 On this episode of The Riley and Kimmy Show we have shoutouts to Mike Comics and Collectibles, Tom Raupp Pop Culture Playground, Space Coast Comic Con, Lake Collect-A-Con Artist Kool as Heck, Artist Shawn Surface, Katie Roberts of Outdated Slang, cosplayers, Wizard of Oz Author Ron Baxley Jr.,Star Wars Force Friday.